Wow!!! 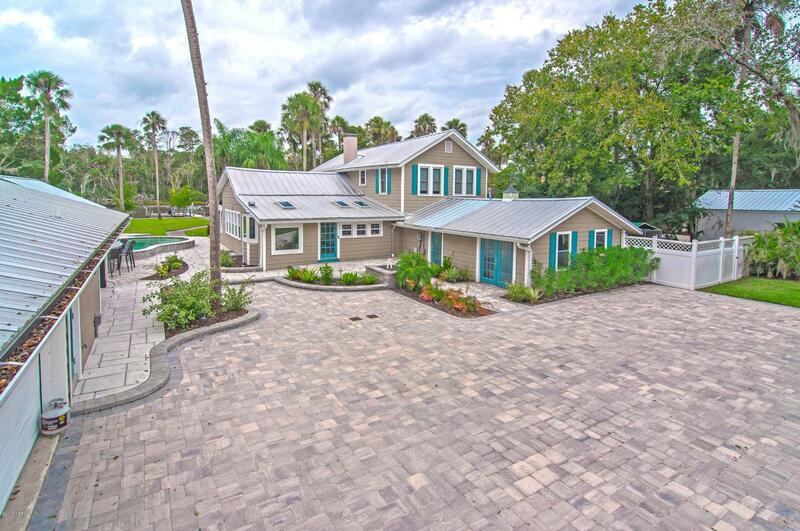 PV intracoastal waterfront home located off busy Roscoe Blvd. Situated on over 1/2 acre and featuring an amazing outdoor entertainment area and pool designed and built by Pratt Guys valued at over $200k that includes a built in Twin Eagles 36'' gas grill, Big Green Egg grill, swim up bar with double beer taps, sink and fridge. Lot boast 140' of steel bulkhead with dock and lift. Gently flooded by hurricane Irma but easily be repaired for under $70K All storm damage was immediately removed and limited to only the first floor of main building. OPTION 2: Build your dream home around the spectacular amenities already in place. Removal of existing home is under $30K and all infrastructure is in excellent condition.